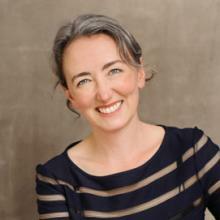 In our recent webinar on holding online committee meetings, Mary McCrae talked about the challenges of scheduling a meeting between people spread across different time zones. This problem has always been part of working with national and international association committees, and she recommended tools to help. Take a look at the services profiled below and see if there's one that will help you schedule your next meeting. Lucid Meetings includes a built-in online meeting scheduler that allows people invited to your meeting to log in and select their preferred meeting dates and times. They can also enter any comments about their chosen dates/times. TimeandDate.com provides lots of useful tools - including a time zone meeting planner - for finding the best (or worst) times to meet for people in different time zones. Use the World Clock Meeting Planner as to figure out what time to propose for a meeting. Enter the time zones for each meeting participant and a meeting date, then click "Show timetable". 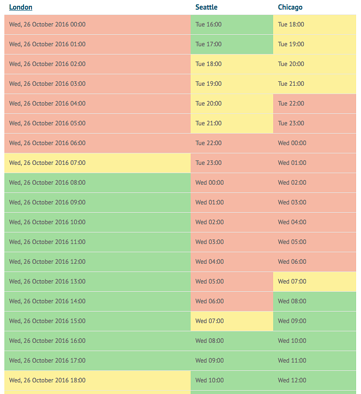 You'll see a handy list of possible meeting times for each selected city, color coded to easily distinguish between regular working hours and especially bad times (like the middle of the night). 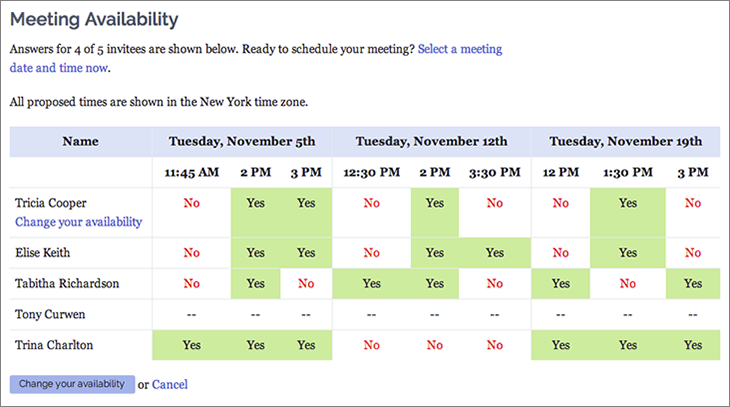 Look for times showing green across the board before suggesting a meeting time. Those who are especially considerate may also wish to review the list of Holidays and Observances around the World. If you want to schedule a meeting in the next 3 weeks, scroll past the list of country names at the top to see a listing of holidays by day and the countries that observe them. 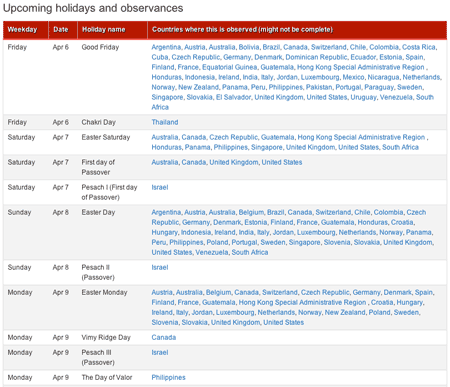 You can click on the country name next to each holiday to learn how it's observed - including whether this is a public holiday during which many businesses close. For meeting dates farther in the future, you can select a country to see the full list of holidays celebrated each year. 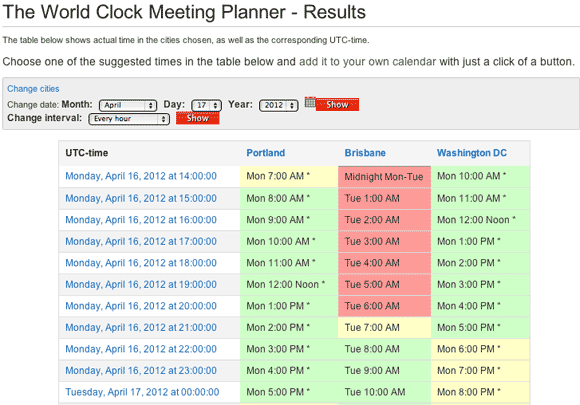 Similar to above, the TheTimeNow.com's Meeting Planner tool helps figure out the best times for meetings during business hours in each participant's time zone. Enter the city for each meeting participant, then click "Submit". You'll then see a list of the best meeting times for each city. Look for times showing green across the board before suggesting a meeting time. Once you've found some times to propose, these meeting schedulers will shortcut the need for lots of email to select the final time. They all work on the same basic premise: you provide some suggested times for the meeting then send a link by email to all participants. They respond with the best meeting times for them. Based on the responses, you set the meeting time. Each service has a free version. 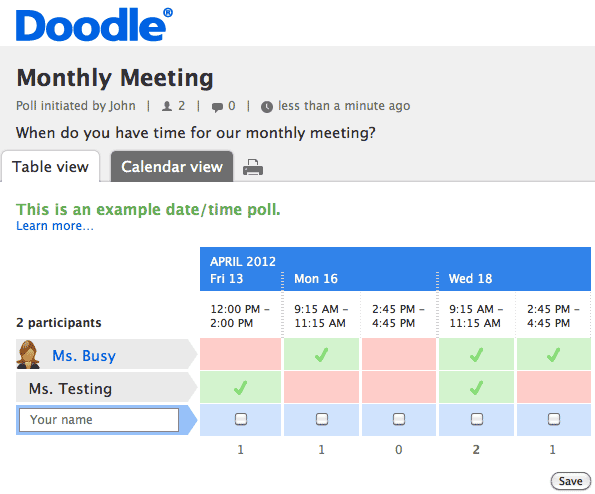 Doodle has also been around awhile and includes features in their scheduling tool that allow you to build simple online polls. Setting up a Doodle scheduling request is a simple 4-step process which doesn't require you to enter an email address. Doodle works pretty much like Meeting Wizard: you specify some possible meeting times and your attendees mark those that work for them. With Doodle, you don't need to enter an email address to setup the most basic scheduling requests, because Doodle supplies a survey link you can send using your regular email client. That said, there are BIG ads displayed on every page of the free version, which may be a turn-off for some of your guests. ScheduleOnce focuses more on one-on-one scheduling, but also includes a group meeting scheduler in its free version. My favorite of the scheduling tools, we use ScheduleOnce ourselves when scheduling demos or consulting appointments. Where Doodle and Meeting Wizard use a survey approach to finding the best meeting time, SheduleOnce works by comparing all participants' availability. To schedule a meeting with a group, you select the day (or possible days) for the meeting and indicate a range of times when you're available. You then send a link to other participants, who highlight their availability on those days. Once everyone replies, the times during which everyone can meet are highlighted and the meeting scheduled. Asking people to indicate when they're available rather than pick from a limited set of pre-defined times can save some rounds on those occasions when none of the originally selected times work. The free version is ad supported, although the ads shown are nowhere near as intrusive as those shown on Doodle's free scheduling page.